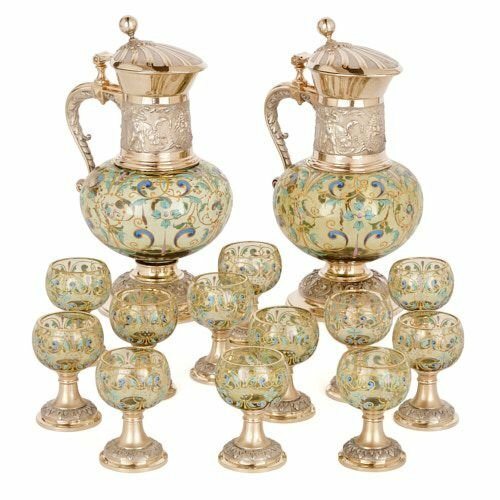 This antique, coloured glass vodka drinking set features fine enamelled decoration and wonderful, classically-inspired silver and silver-gilt mounts. The vodka drinking set consists of two jugs and twelve, small glasses, which are identically decorated. The jugs stand on splayed silver-gilt feet, encircled by bands of silver, decorated with foliate motifs. 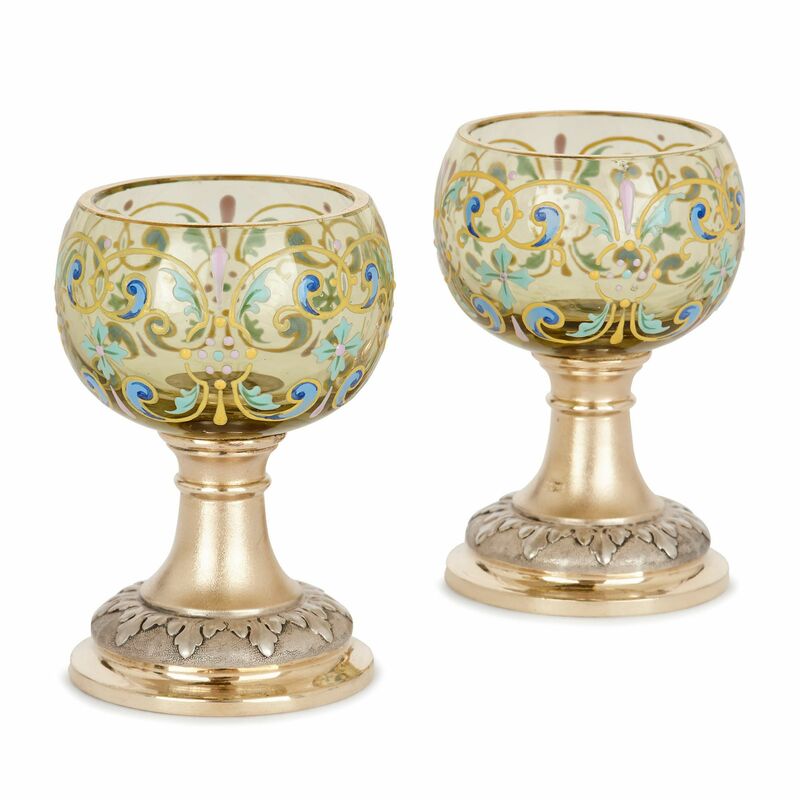 The bulbous bodies have been crafted from a green-coloured glass, and ornamented with turquoise, royal blue, orange and pink enamels, forming scrolling vines and foliage. 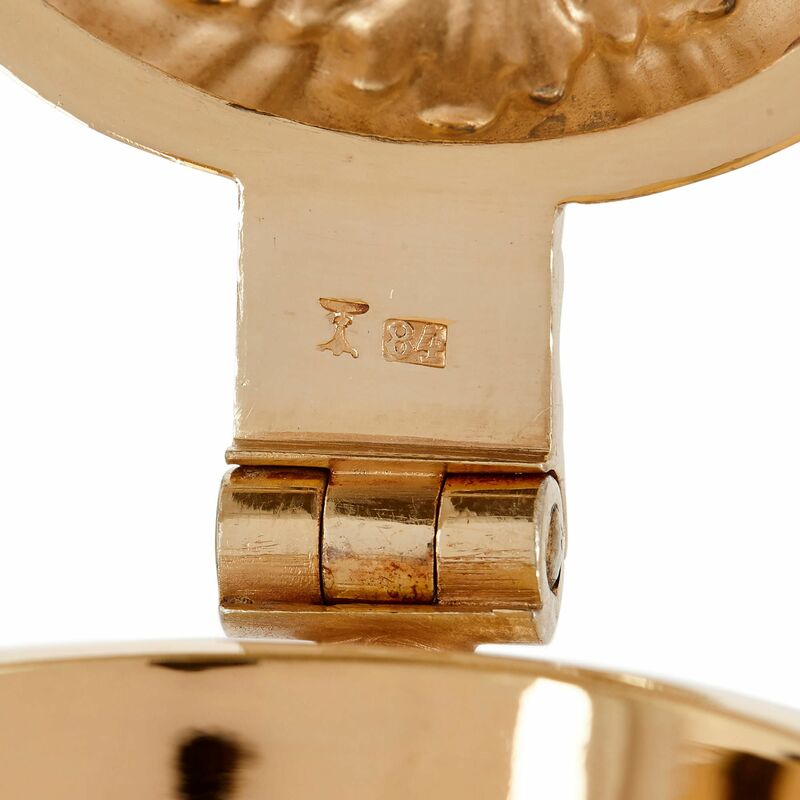 Above, the silver-gilt necks have silver collars, featuring relief depictions of putti blowing horns, lions and classical masks. 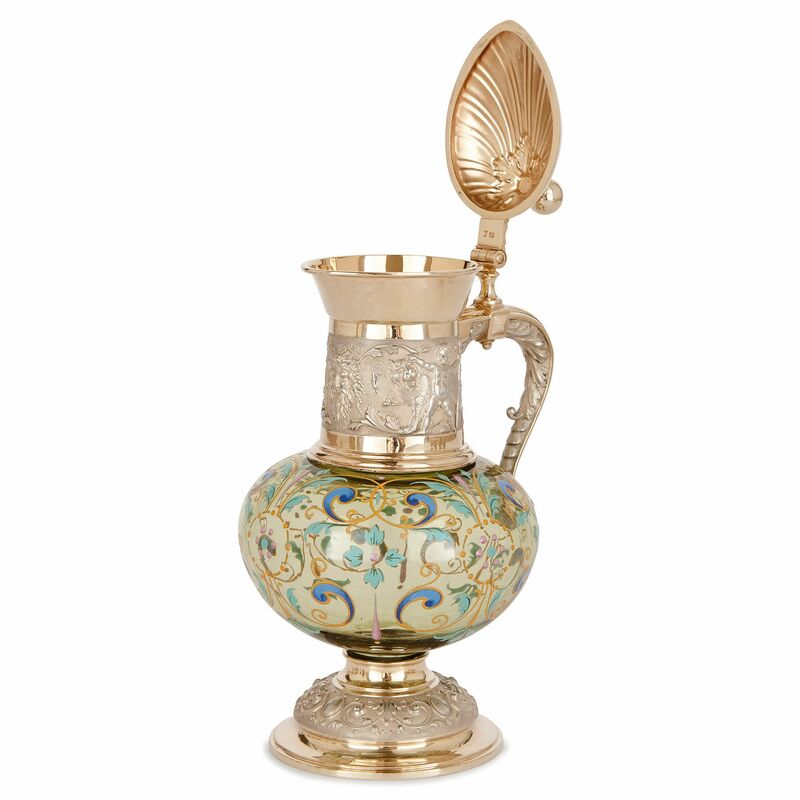 The jug necks are fitted with looping handles with foliate edges, and are topped by hinged lids, which are shaped like clam shells, with pearl finials. 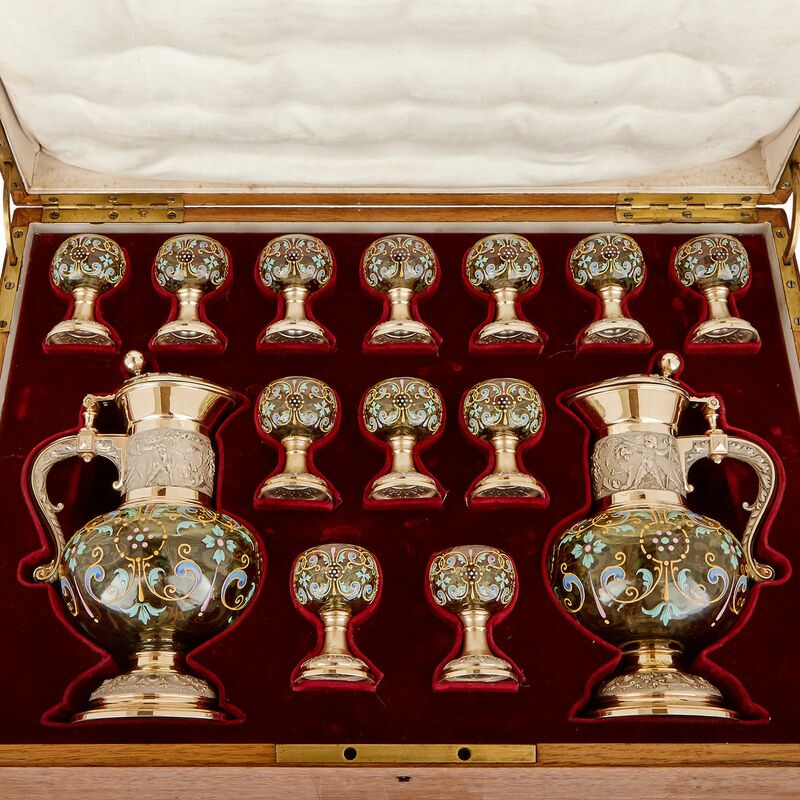 Designed like small wine-glasses, the twelve vodka cups stand on slender, silver-gilt stems and circular feet, with silver belts of acanthus leaf relief ornament. The bowls are decorated in a similar style to the jugs, their green-coloured glass bodies enamelled with colourful, swirling organic shapes. 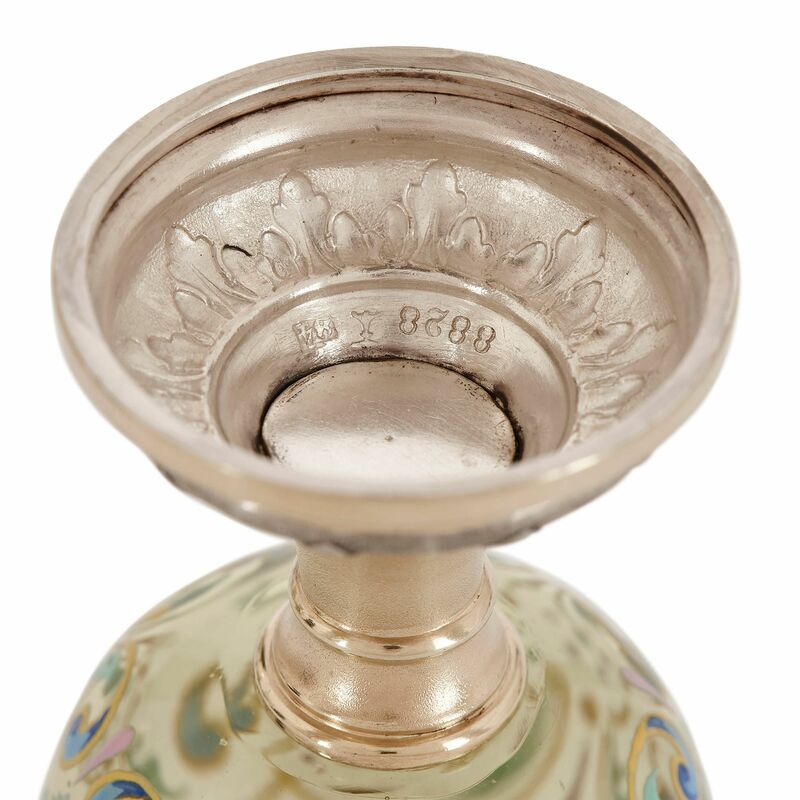 The silver mounts of the jugs and glasses are stamped with hallmarks, and with Russian import marks. This indicates that this set was created for the Russian market. 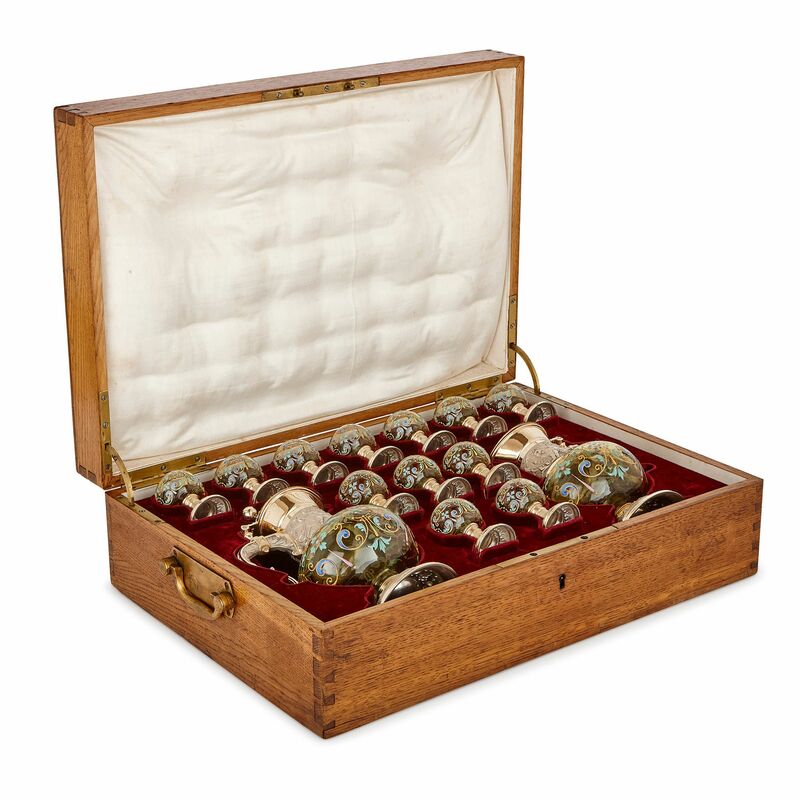 The set is stored within its original velvet-lined wooden case. 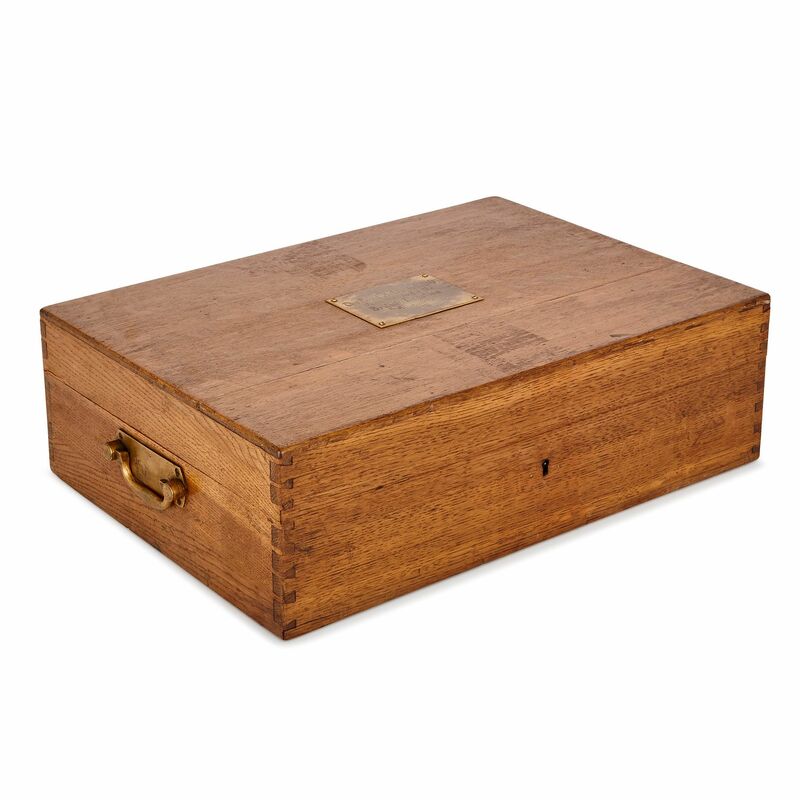 In the early 20th Century, the set was gifted to Lord Acton, the UK Ambassador to Finland from 1919-1920. 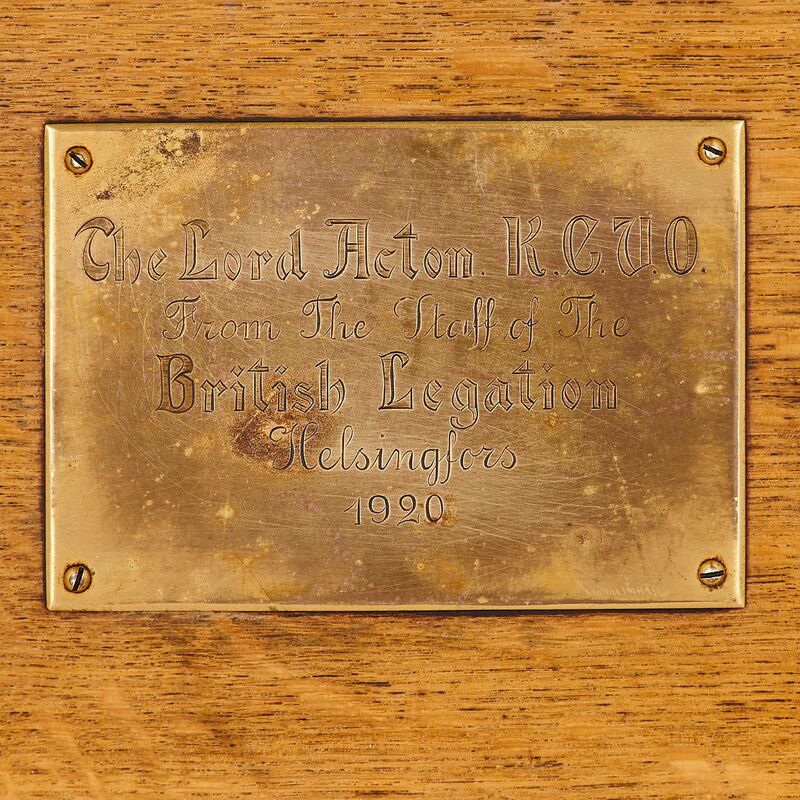 Due to this, the case is mounted with a presentation plaque, reading ‘The Lord Acton K.C.V.O / From the Staff of the / British Legation / Helsingfors / 1920’.